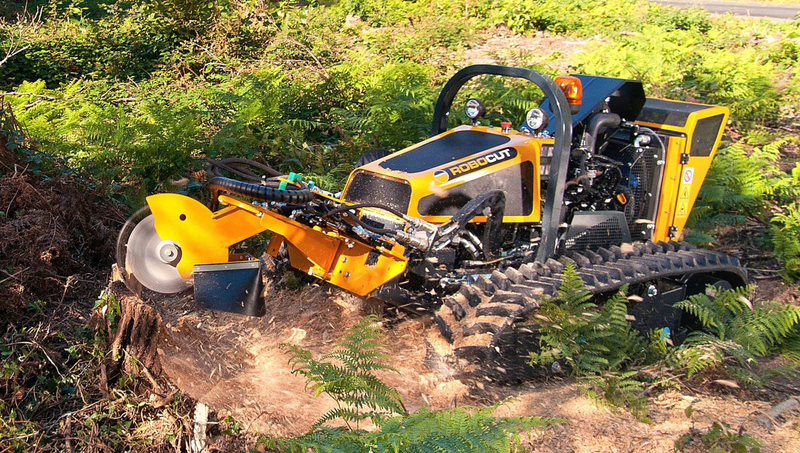 With the introduction of the Mcconnal Robo Stump Grinder and continuing our expansion into new technology MEO LANDSCAPES has increased its equipment list. Using remote control technology to take the operator out of any danger zone and accessing 360* visibility ensuring a efficient work pace, we can operate the machine in a variety of un-accessible areas with uses both in the Commercial and the Domestic market. Meo Landscapes understand that protection is critical with some projects therefor we always attend call outs with Protection fencing, sheets and boards.ROBOCUT thrives in the toughest terrain, making it easy to work on busy highways, embankments, railway sidings, steep-slopes or riverbanks.